Currently touring North America as part of the 25 Years Of Ram Records tour, Loadstar have dropped new single, ‘Diamonds’ (feat. Takura), the next track from the British D&B act’s soon to be announced new album. Nick and Gavin have been road-testing the track for most of this year in their sets, apparently to great reaction. This single also reunites them with vocalist, Takura, who, aside from featuring on tracks by Chase & Status, Sub Focus, Netsky, and Kano, last worked with Loadstar on ‘Refuse To Love’. ‘Diamonds’ follows recent single, ‘I Need The Night’; the lead single track was accompanied by ‘Guerilla’, and a house rework of ‘INTN’ from Dismantle. Support on the package came from Radio 1, 1Xtra, Kiss, Beats, and beyond, with DJs including Target, Friction, Danny Howard, Annie Nightingale, Julie Adenuga, and many more. 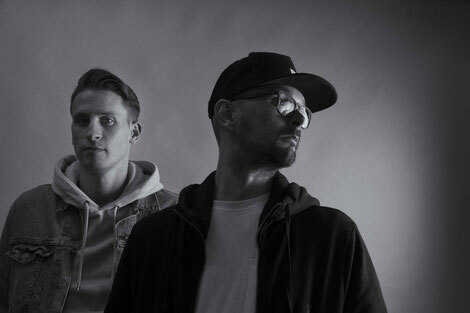 Since the release of Nick and Gavin’s debut album, ‘Future Perfect’, Loadstar have possibly solidified their reputation as one of Europe’s biggest D&B acts. Having crossed over to daytime Radio 1, with ‘Future Perfect’, and with heavy specialist radio support, the pair are now apparently a major draw as DJs, with many performances at Fabric and beyond - they also debuted at Glastonbury, Pukklepop, Creamfields, Las Vegas’ EDC and SW4, amongst others. 2016 saw them continue to break new ground on the festival circuit and, while focusing on recording new album material, they released the tracks ‘Change The Channel’, ‘Encarta’, ‘Lifeline’, and ‘Red Rock’ for Ram. They added remixes for Stylo G and Jacob Plant to a discography that to date includes Rudimental, Noisia, Ed Sheeran, Breakage, Chase & Status and Wolfgang Gartner.